You can walk everywhere, all major towns attractions are just few steps away. Property 37: You can walk everywhere, all major towns attractions are just few steps away. 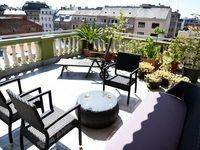 Property 41: Beautiful Loft In Centre Of Zagreb. Property 50: Idealis Zagreb will leave you speechless. Ivana&rsquo;s Beautufil You Are Apartment! Is wonderful. Brand new, with every convenience. The bed was very comfortable and the location can not be beat. Right near everything!! All her instructions were very easy and she made sure we had everything. I highly recommend! 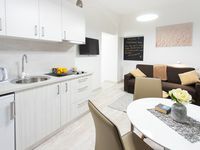 Quirky, clean, spacious and in the perfect location for visiting Zagreb. Great views from the rooftop area and with everything you need inside. Parking could be challenging but if you get a park you won&rsquo;t need to drive anywhere. The apartment is in walking distance to all of Zagreb&rsquo;s sights.